Nowadays, humankind, using his knowledge and ultimate tools, is able to know the strangest things. With moving each step up, we have been brought from holism to detail. In physics, we went to quarks and inside the atoms. In medicine, from studying the whole body for diseases, we went to the diseases for each part of body, so that for each disease we have a professional therapist to cure it. Mother earth, having any kind of gift for human, has been under humankind’s unkindness and is slowly dissolving: Global warming, micro-organism resistance microbes which have been created or found because of our progress. But still we can return to mother earth and achieve health and hilarity and still use the things mother earth has given us and find the realities, remedies, keep our health. Still nature is our mother, if we open our eyes, we can search and find. I was born in Samsara, got my Bachelor degree in Rasht. I love Mathematics but I chose to learn medicine, unlike my teachers and brothers opinion. After getting my BD I straightly went to Esfahan University, and after six years and six months, I graduated as a physician. I wanted to be a surgeon but after Eighteen years after graduation, I’m still a general practitioner. I were a quick and nimble student, I played basketball and even I were in our school’s team, but I didn’t enter any match during my education time(and I regret it and always remind it to my son ) I practiced Karate but stopped it during my academic education times. 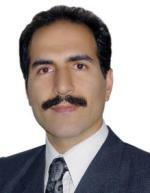 I love traditional music of my country (Iran) and I am a fan of Master Shajarian. I always try to sing slowly the songs I like. I love movies, especially high qualified movies. I love my town, country, and my language. I am married and I have a son and a daughter, which I’m proud of.